SRT’s The Little Company is presenting The Cat in the Hat in Mandarin based on the all-time favourite book by Dr Seuss. The Cat in the Hat has been developed into a magically witty play by Britain’s National Theatre and it will be faithfully reproduced in Mandarin by SRT’s The Little Company – 戴高帽子的猫 for children aged 2 years and above. 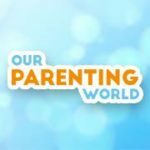 Our Parenting World – OPW Media team is pleased to be able to interview Hang Qian Chou (HQC), 韩乾畴. He plays the lead role in the Cat in the Hat. Qian Chou graduated from NUS Theatre Studies and was in the pioneer cohort of W!LD Rice’s actors’ training programme young & W!LD. He has also attended summer workshops at Anne Bogart’s SITI Company (Saratoga Springs, US), David Diamond’s Theatre for Living (Vancouver, Canada) and Ecole Philippe Gaulier (Paris, France). He has won Best Ensemble five times at The Straits Times Life! Theatre Awards, for Art Studio, Red Sky, Twelve Angry Men, Lao Jiu: The Musical 2012 and Mad Forest; and was similarly nominated for Lao Jiu: The Musical 2017, Own Time Own Target and The Hypochondriac. 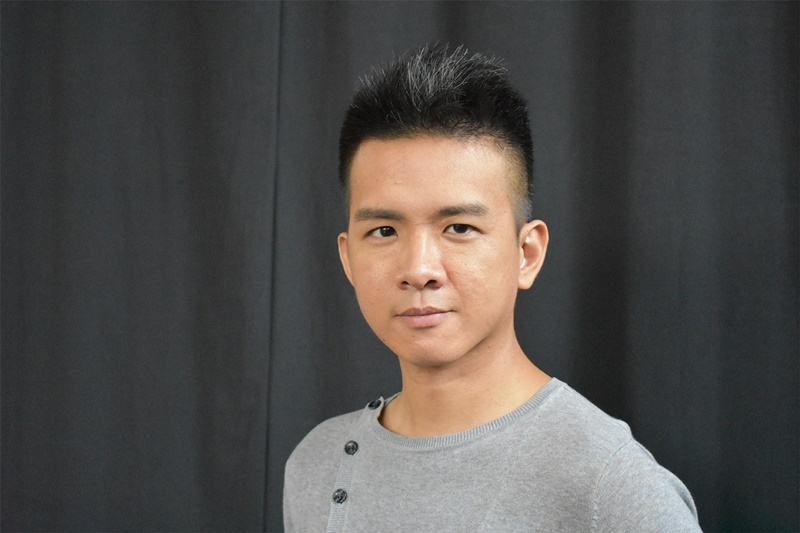 He has toured internationally with various Singaporean theatre productions to the Edinburgh Festival Fringe, Macao Arts Festival, Chinese Forum Theatre Symposium (Taipei) and Kuala Lumpur. Qian Chou is a Founding and Core Member of the Nine Years Theatre Ensemble. 1. Please share with us more about your background and what made you decide to pursue a career in acting? HQC: I actually was a Science student in school until I decided to major in Theatre Studies in NUS! I was never really into the sciences anyway in the first place (except for Math) and I decided that it was time to pursue something that I actually had an interest in. However, my course was more an academic than practical one, so I struggled to get much acting work after graduating. So I ended up getting a job in public service, while successfully enrolling in W!LD RICE’s pioneer cohort of their young actors training programme young & W!LD. From there, I started receiving training in acting and eventually got through auditions to land an ensemble role in a Theatre Practice musical. That prompted me to quit my day job in a community club to take the plunge into the uncharted waters of freelance theatre. That was some 11 years ago and along the way I’ve had the opportunity to work with various other local theatre companies that have brought me all around the world. I can say that I don’t see myself stopping any time soon because standing on stage is what makes me feel the most alive! 2. 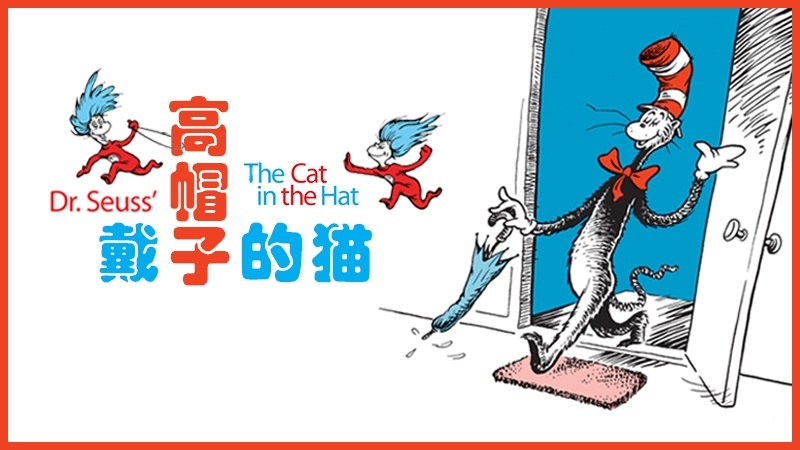 Tell us more about The Cat in the Hat in Mandarin and what are some of your favourite scenes? HQC: It closely follows the original story written by Dr Seuss (albeit translated into Mandarin) and that means plenty of crazy madcap antics from start to finish! It tells of a pair of siblings stuck at home by themselves and their pet fish on a rainy day, who then get a visit from this strange cat who tries to entertain them by performing all sorts of tricks. The house ends up in a huge mess as a result and it’s a race against time to clean up before their mother comes home. There’s a long stretch in the middle of the show where everyone is running around all over the stage and creating all sorts of chaos with a multitude of props against a soundtrack of wacky music and sound effects. That is really exhilarating to stage and I’m sure the audience will have plenty of fun watching that too! 3. Please share with us about your role, what are some of the challenging parts in acting out your character and how do you overcome it? HQC: I play the titular Cat in the Hat and as mentioned, I perform a lot of wild tricks using my imagination and sometimes twisting my body into all manner of shapes and poses. In one particular instance, I have to balance a whole gamut of objects all over my body, while standing on a ball! That goes on for quite a while, which is really challenging the control and usage of my body and voice. I’ve not quite mastered it yet but I’m improving with every rehearsal as I work to find new and better ways to accomplish this zany task. 4. What advice would you give to someone who aspires to go into acting? HQC: It is an oft-heard cliche that one must have the passion and drive to succeed in any trade, but I do feel that this is the most important quality for someone who wants to pursue a career in the theatre. The hours are long; the work challenges both your mind and body; you never know when you will get enough work; and sometimes the pay doesn’t match your expectations. Without the passion to create art that provokes and nourishes, or the drive to push on when the chips are down, it will be very hard to sustain a life in the theatre for long. But at the end of the day, the satisfaction you get when your work connects with and moves the audience, the bonds you form working with a village of like-minded artists on a production over weeks and months and the growth you accumulate as a human being while getting in touch with your soul inside and the crazy world outside, will make it all worthwhile. 5. Lastly, do you have anything that you would like to add on and share with our readers about The Cat in the Hat in Mandarin and what can audience expect when they watch the musical? HQC: It is a simple story which you can already read about in Dr Seuss’ book but when you come into the theatre, get ready to be mesmerised by the magic of real people bringing it to life! Thank you Hang Qian Chou for taking our interview! Every Dr Seuss’ story is a lesson in morality, ethics, tolerance and the human spirit. Don’t miss this opportunity to watch this entertaining and witty show. It will be a fun and perfect family bonding time for the whole family to watch the show together! Good news, thanks to SRT’s The Little Company! We have one family package of 4 tickets to giveaway for you and your family to watch The Cat in the Hat in Mandarin on 11 August, Saturday at 2pm. The giveaway is currently ongoing and will end on 19 July, 23:59Hr. Hurry, please move over to Our Parenting World’s Facebook Page to participate now. Thank you and Good Luck!